wow very nice. I love the fire pits at the front. @Tom Sawyer I notice that you left upper roof little different that in the original one. Was there some reason? I don’t mean that its wrong that way. Just curious. woah ! congratulations Tom ! thats a very very neat model you've done there ! Yes, I think it can really play such a role in game. I also had a thought to create another save game scenario where the goal is to build a temple in a given location or something like this. And of course it will need tons of wood and time to be built. This church looks great @1. 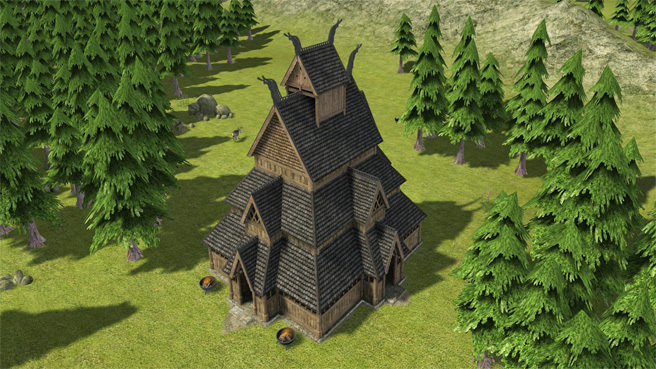 Maybe they were a bit too crazy with so many onion domes in this case.^^ My Siberian chapel is on pause since I ran into issues with AO and all the rounded, smoothed and high poly shapes bogging down the game. But I will go back to it and maybe able to solve it one day. It's indeed a challenge beyond this Viking temple. And then you give us a scenareo where we replace the Pagan temple with a Christian one. Edit:Don't know how fast it would be, but giving us a Gärdsgård fence would be nice, they are very iconic in sweden. I started to chop the old mead hall into pieces. The raw model is one year old already.^^ But making such a fence will be a nice distraction. Would you consider releasing the Viking buildings you've finished as separate mods prior to the release of version 7? I would very much like to use the turf and frame houses in particular. Great work on the temple, btw. Good idea @NK. I will release them as single preview mods with the variants I have. Just needs some finishing, icons and such. If you want other small thing to do, could you please change it so the ground side of the Itza is available to build roads on? @darnokthemage You can load the separate Izba mod and place it above the North. I just updated this file and added road tiles to the right. Not up to the end because it is thought to be built with its gable to the street and new variants will have a porch there. 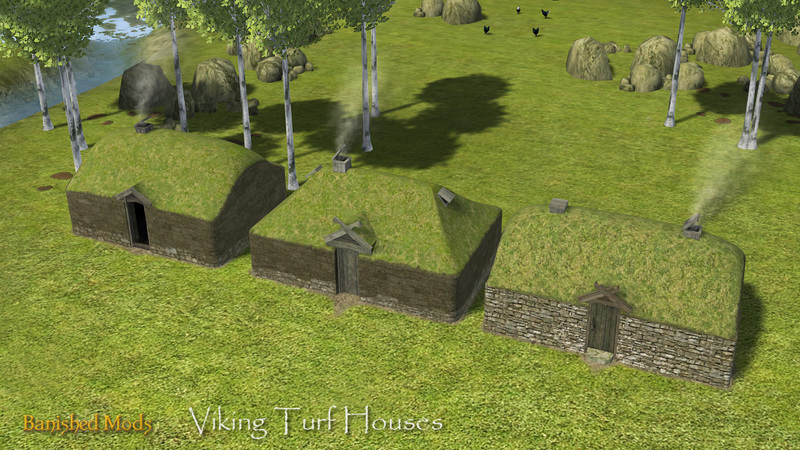 @NK and all others who want to play and test my new turf houses, they are now available as a separate preview mod. Download from banishedventures.com/turfhouse. Sweet! I want to start a Nordic game after I´ve tested Reds latest edition. Looking forward on the red hospital! Tom Sawyer very nice i download. Like i download all your mods. Your textures are so good every time.